Winner of the Guardian children's book prize 2015 I'm the one who's left behind. I'm the one to tell the tale. I knew them both...knew how they lived and how they died. Claire is Ella Grey's best friend. She's there when the whirlwind arrives on the scene: catapulted into a North East landscape of gutted shipyards; of high arched bridges and ancient collapsed mines. She witnesses a love so dramatic it is as if her best friend has been captured and taken from her. 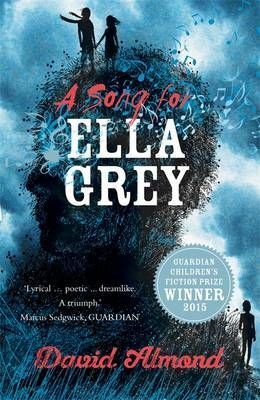 But the loss of her friend to the arms of Orpheus is nothing compared to the loss she feels when Ella is taken from the world. This is her story - as she bears witness to a love so complete; so sure, that not even death can prove final.